Headquartered in Idaho, Speer ammunition is trusted by more law enforcement officers than any other brand. 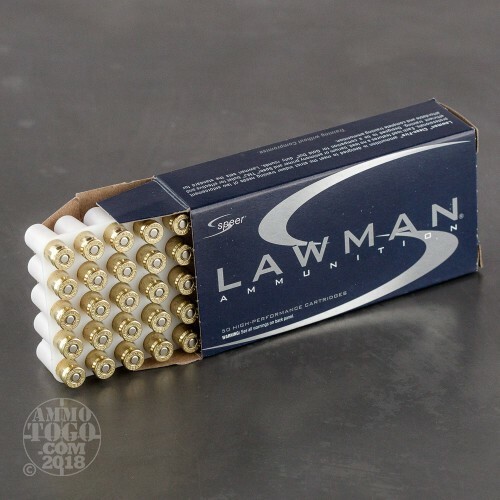 Speer’s Lawman line is the ultimate training ammo. 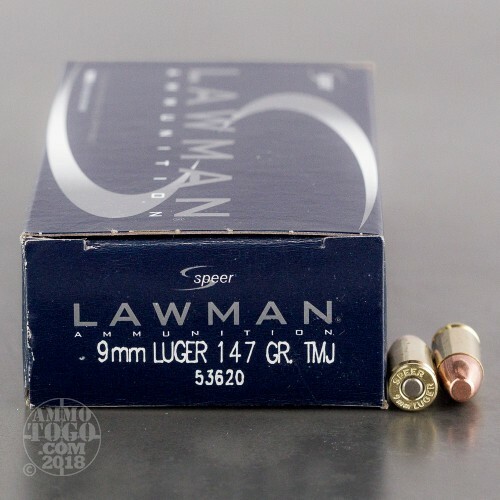 Offering the same feel and performance as premium duty rounds, Speer Lawman is available at a fraction of the cost of expensive hollow points rounds. 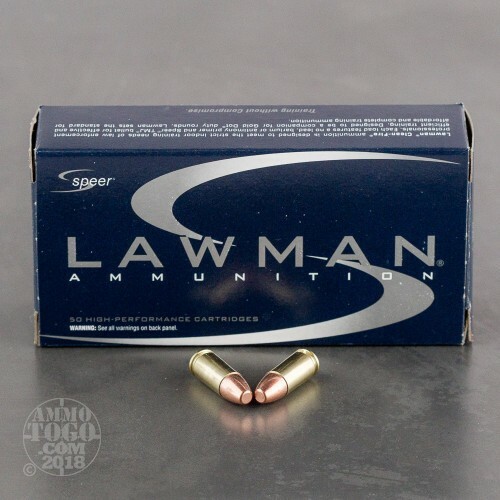 This package contains 50 rounds of Speer Lawman 9mm Luger (also known as 9x19mm parabellum) ammunition. Each round is loaded with a 147 grain total metal jacket (TMJ) projectile. TMJ bullets feature a plated jacket that completely encapsulates a solid lead core. The design minimizes terminal expansion, making these rounds ideal for target shooting and tactical practice. 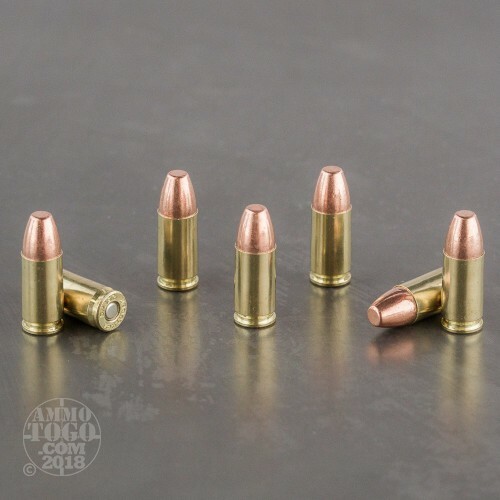 These .9mm rounds provide the opportunity to train with rounds ballistically similar to practical duty or self-defense ammo. You get a seamless transition from training to tactical as Speer Lawman delivers a point of aim, recoil, and function so close to your EDC loads you’ll be hard-pressed to tell the difference. This factory fresh ammunition is manufactured with high-quality reloadable brass casings and clean-burning CCI primers. Each round produces a consistent muzzle velocity of 985 feet per second with 317 foot pounds of energy. I normally use 115 or 124 grain ammo in 9mm, but I decided to try some 147 grain for a change. The Speer Lawman runs great in all of my 9mm guns. This is quality stuff.